What were your main principles for selection of the poets for this year's festival? While selecting poets for Days of poetry and wine 2015 I was really reading a lot, everything, international poetry magazines, new releases, anthologies, but I was also talking a lot with people in whose taste I trust. I wanted to avoid copy-pasting programs of other poetry festivals and give a chance to sharp, new voices, who convinced me with their poetic strength and who may not yet be very well known on international stages. I also tried to compose a nice, diverse mixture of different voices, ages and languages, which is much more difficult than it seems, as there is always a certain amount of poets who cannot accept the invitation for various reason. The list of confirmed authors, which is not final yet, is quiet diverse, with amazing poets from Belarus, Poland, USA, Costa Rica, South Korea, Turkey, Lithuania, Macedonia, Belgium, Germany etc. How do you determine which »sharp, new voices« in poetry are the most interesting? One thing is recognising the objective quality of a text and the other is following my personal taste. My selection is combination of both. While I didn't allow myself any compromises when it came to general quality, I was careful with infiltrating my personal taste, to leave space for diversity. But I really enjoyed reading all of the chosen ones and am looking forward to hear them reading in Ptuj in August. How important is the live performance of a poet? The performance surely is important, especially when it comes to public readings, but for me the quality of poetry itself still is of a much bigger importance. Yes, I did check youtube videos of readings, if they were available, but spent much more time just reading their poetry. Some authors are excellent performers, the others are more coy or like to keep it simple. 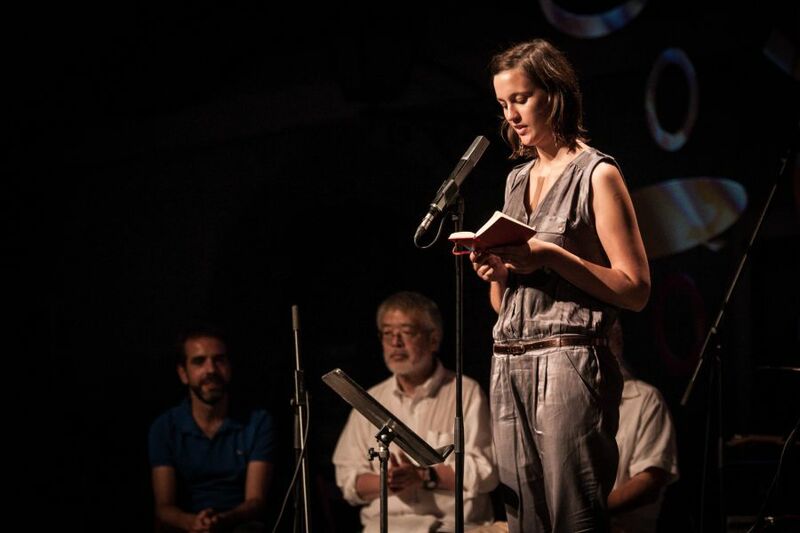 When it comes to international festivals, where poets read in their mother tongues, already the language itself has the power to create certain atmosphere – it can be funny or strange or intriguing –, audience usually likes lively, different performances, but is often enchanted by purity and beauty of simplicity. The festivals are certainly not only about readings, there are also books that are left behind after the lights on the stages go out, and this, written poetry, in original languages and in translation, is what stays with the readers much longer.